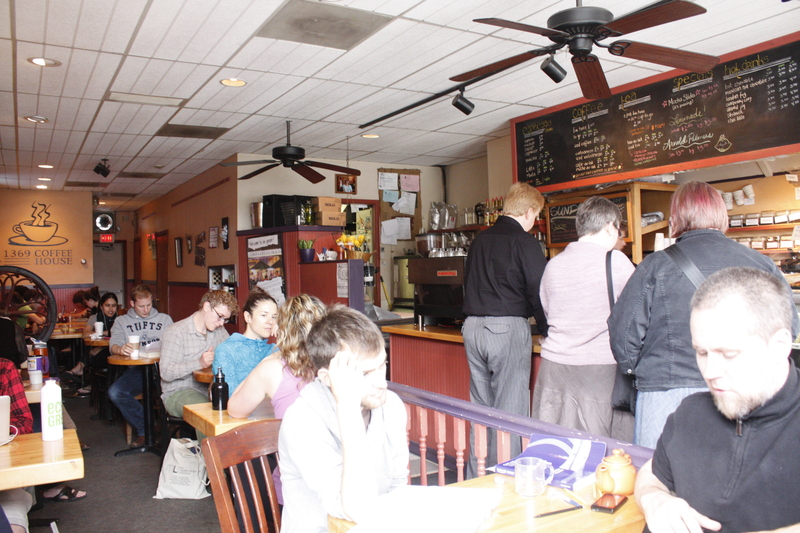 1369 Coffee House is a cozy coffee shop in Inman Square. The menu had two hot drinks we will definitely have to try Mexican Hot Chocolate, house-made cocoa spiced with chipotle and cinnamon and the Almond Joy, house made hot chocolate with almond and coconut. 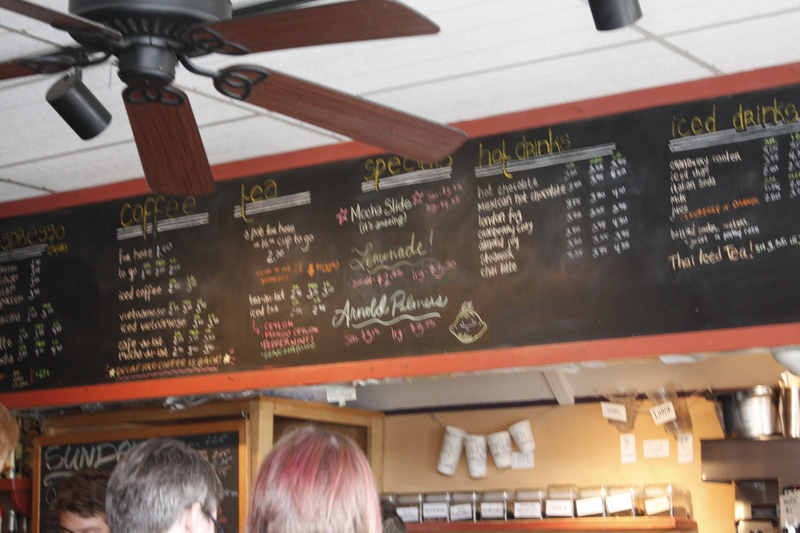 Seating was tough to attain, but once we staked a claim in the front, we enjoyed our beverages and the chill ambiance. 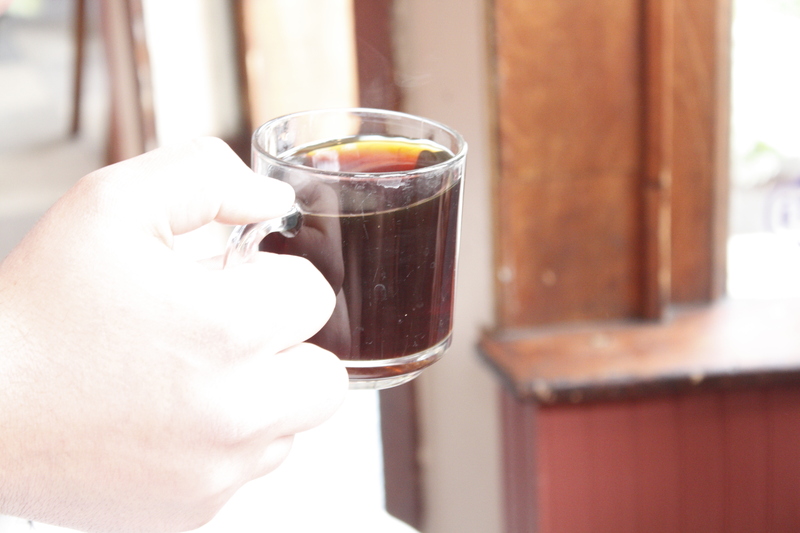 The dark roast was layered and velvety. Fantastic. 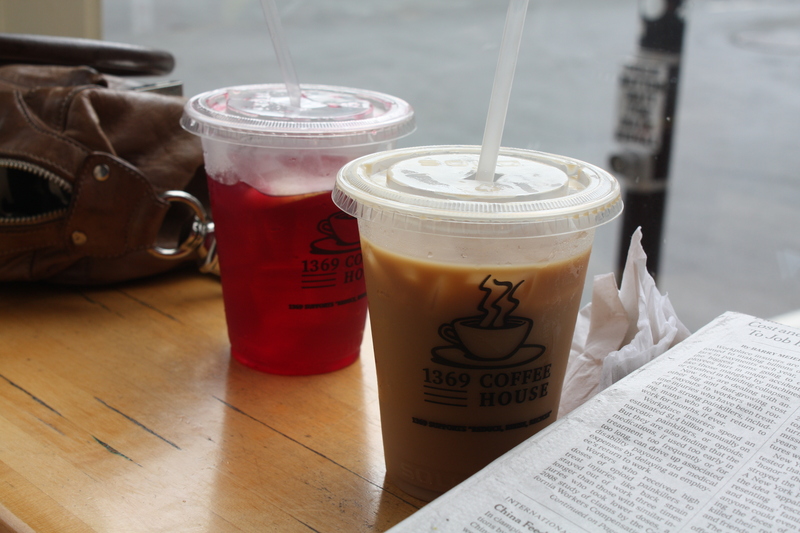 Our iced Vietnamese Coffee was the perfect combination of dark roast and sweetened condensed milk The Cranberry Cooler had a refreshing 7-herb hibiscus tea and cranberry juice.